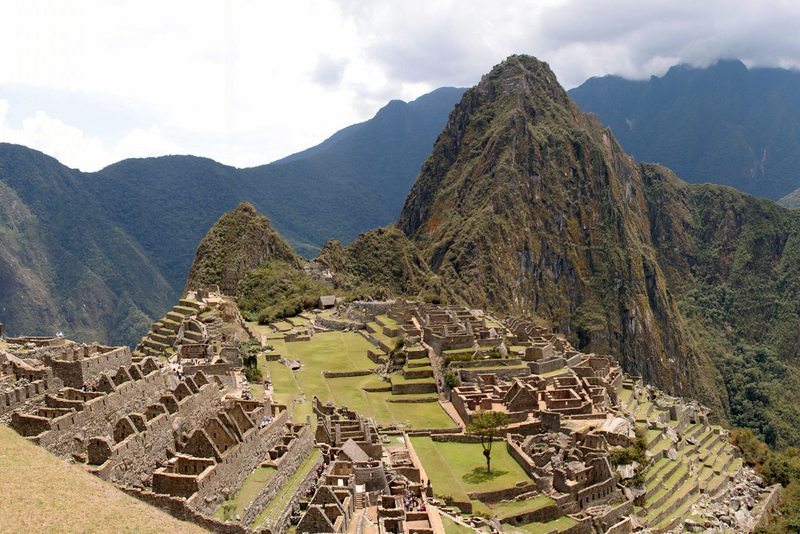 Who wouldn’t want to visit Machu Picchu! The Incan lost city was built in the Andes Mountains of Peru all the way back in the 15th century. The city was abandoned and remains a bit of a mystery to this day with its sophisticated design. It was brought to the attention of the rest of the world in 1911, and is now the most popular tourist attraction in South America. The huge appeal is historical as well as geographical. That being said, getting there isn’t always the easiest of trips. But don’t let that deter you, here’s what you need to know. Technically you can visit Machu Picchu anytime of year, but you would be wise to expect big crowds and the possibility of rain anytime. The rainiest time of the year is between October to April but it is never off the table completely. The busiest time of year for tourists is July and August, but again, being open all year round means anything can happen. If you’re not planning on hiking the trail, it can be seen in one day. (Although rushing the experience isn’t suggested either.) For a day trip, you would want to fly into Cusco and then take the 3.5 hour train ride to the town at the foot of Machu Picchu, which is now called Machu Picchu Pueblo but used to be referred to as Aguas Calientes. You could also stay in Aguas Calientes for a couple nights and then return. Keep in mind that the elevation in Cusco is 11,000 feet but in Aguas Caliente it’s 8,000, so heading there first can help reduce any altitude sickness. If you decide to hike the trail, know that it is going to take a couple days. There are a few different train options to take when you’re getting there, including the Expedition, Vistadome, and Hiram Bingham. The Hiram Bingham is the nicest option but also the most expensive. On that train you can expect to be served wine. The Vistadome would be the midrange option which great views from every seat, and then the Expedition is the cheapest option that does not guarantee great views. This may or may not be important to you, but the scenery on the ride is quite beautiful and worth checking out if possible. It’s important to book these as far ahead as possible because the trains do sell out. One of the best places to stay in Aguas Calientes is the Inkaterra Machu Picchu Pueblo Hotel. The resort is set back into the forest and away from the crowds so you can get a real feel for the traditional life there. It is possible to walk from Aguas Caliente to the citadel but it would take you about 90 minutes. The other option is to catch one of the busses that start running at 530 AM and leave every few minutes. Expect to wait as people start lining up well before they begin to run. Don’t forget to bring your passport, which you’ll need to reenter the gates after using the restroom. Plus, that way you can get the Machu Picchu stamp in your passport. I wonder how they built a city on top of an 11,000-foot high mountain with primitive tools? Been to the top once and it was as scary as hell, but very rewarding nevertheless. The risk is worth it. Machu Picchu is just one of the many pre-Columbian sites in Peru and if you’ll ever visit there, be sure to visit the Nazca Lines, the Sacred Valley, Saksaywaman, Huayna Picchu and other beautiful sites. You’ll definitely enjoy it! I don’t understand these ancient people. Why would they break their backs building a city on top of mountain? Awesome! 11,000 feet mountain with a city on top of it. We on the other hand build cities to be flooded and with the current global warming problems surging right now; I doubt we will be able to cope with what’s coming. Perhaps we should start considering doing what our ancestors did. ^^ Gotta agree with you Dylan. NASA just recently predicted that sea levels will rise up to 3 feet and if we build our cities on an elevated area like Machu PIcchu, we’ll stand a better chance. I love your blog post. I hope to read more of these types of blog posts here. I think I need to de-stress myself after watching CNN and Fox News for so long. SMH. I’m sorry if you think that my reply is a spam (although I hope you will not think of it like that and not delete my post) but I would just like to point out that whoever built Machu PIcchu must have had advanced engineering knowledge and high-tech equipment. I mean, think about it! How did they carried all those 5 – 80 ton granite rocks all the way up that mountain and that’s 11,000 feet high on a 70 – 80 degrees slope? Even our engineers would have an extremely difficult time accomplishing it. When this knowledge will sink in, you will start to notice a pattern in most of the ancient sites in South America. You will find out that they were not as primitive as we think they were.